Rejuvinit© Gold is an effortless Anti-Ageing product that can be used instead of invasive Chemical Injections, peels and other extreme exfoliating treatments. The initial effect is purely cosmetic, with long lasting results gained within 9 days. Rejuvinit© Gold is not a product that you will have to use continuously, toning down on frequency of application as your skin tone improves. 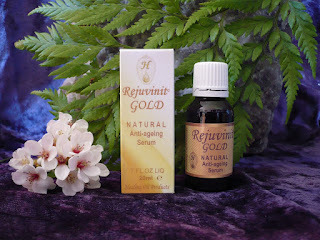 Rejuvinit© Gold can also be incorporated in your normal skin care routine (Cosmetic products are expensive, so use what you have left, enhancing it with Rejuvinit© Gold). The oil is absorbed completely with no residue or artificial layer that hides the wrinkles. Make-up can be applied within 5 minutes. If you have not yet heard about Rejuvinit© products, it is because ladies do not like to share their beauty secrets.